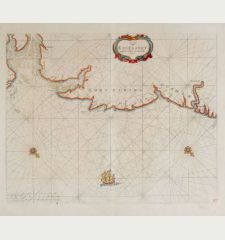 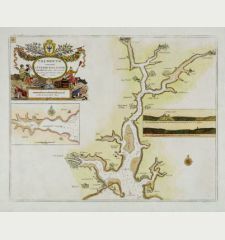 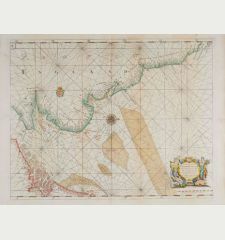 Coloured sea chart of Fowey, Mount's Bay, Cornwall, England. 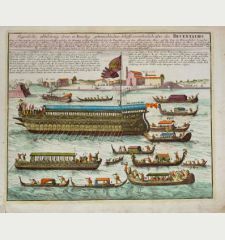 Printed in London between 1693 and 1792. 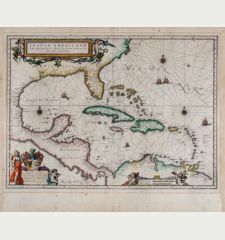 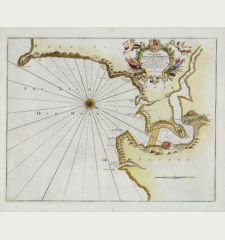 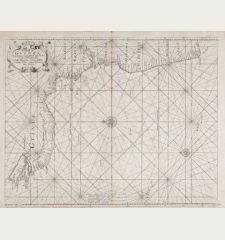 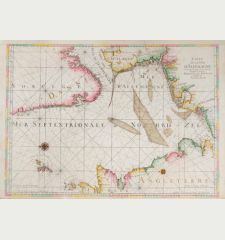 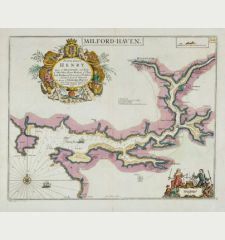 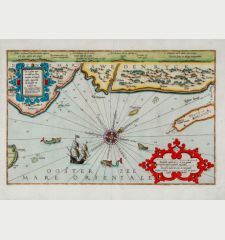 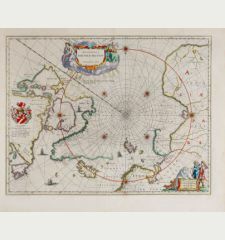 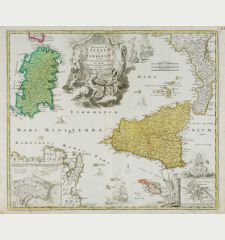 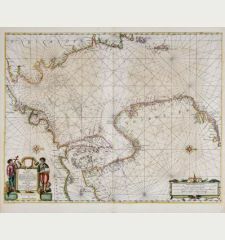 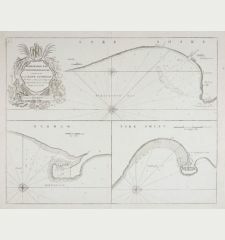 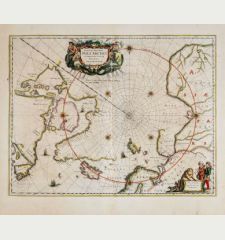 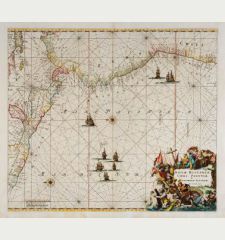 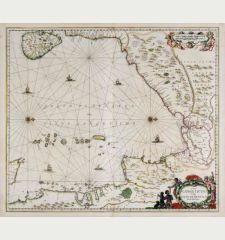 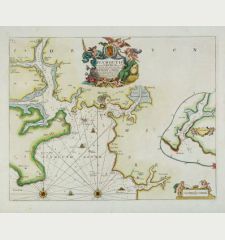 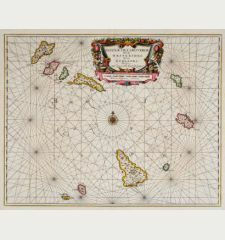 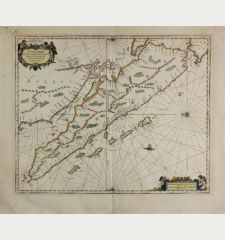 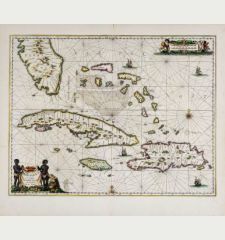 Decorative antique sea chart of the coast of Cornwell, the southwestern part of England. 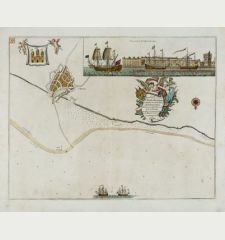 Shows the coastline from Polkerris to Pencarrah Head with Fowey and Polruan. 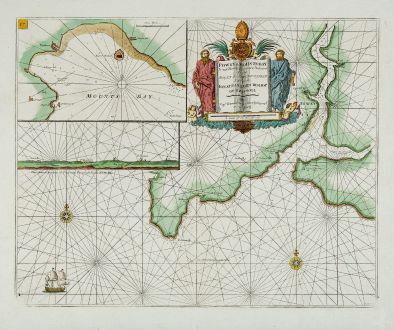 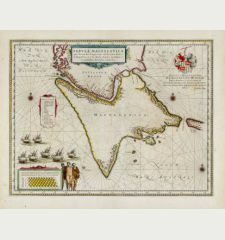 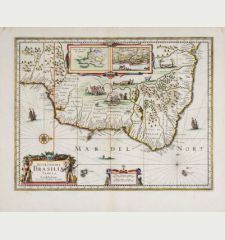 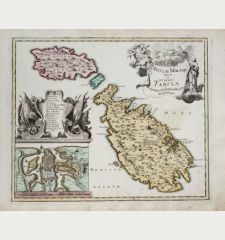 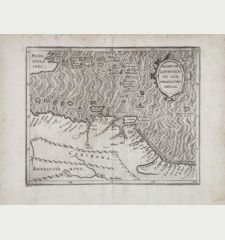 The inset to the upper left shows Mount's Bay with Penzance, Mousehole and St Michael's Mount. 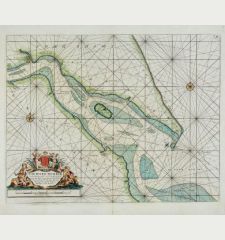 Below the coastal profile which shows at the mount of the River Fowey with Coombe and Fowey Castle. 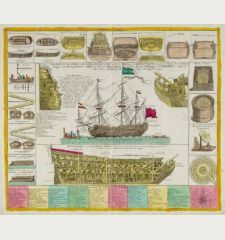 Decorated with rhumb lines, two compass roses, a sailing ship and a richly decorated title cartouche. 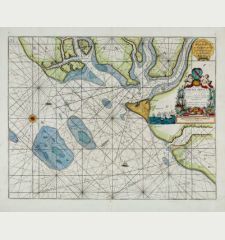 In addition to sandbanks and anchorages, also water depths are indicated. 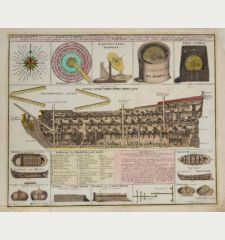 The chart is dedicated to Jonathan Lord Bishop of Bristol.